Partial dentures are an excellent and cost effective option for those who still have some of their natural teeth. Partial dentures fill in spaces created by missing teeth. Conventional partials have acrylic teeth and gum replacements. They are retained in the mouth by thin metal clasps that attach to the remaining teeth. 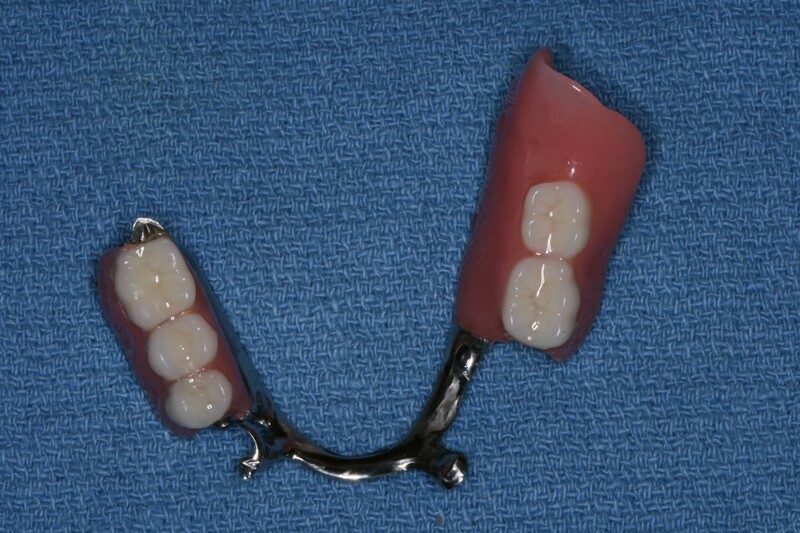 Often times, if the metal clasps show in a patient’s smile, precision attachments can be used. In some circumstances a clasp-less partial can fabricated relying entirely on precision attachments. With advancements in modern cosmetic dentistry, the partial will blend naturally with your remaining teeth, undetectably, as it restores your smile’s beauty and your ability to chew naturally. If missing teeth are making you apprehensive in social settings, it’s time to contact the North Dallas Denture Center to schedule a consultation with Dr. Jason Roe. Let us give you lots of good reasons to smile!